So, it’s no secret that I like to support North Carolina authors, but Megan Miranda is one that I’ve known for a handful of years now. 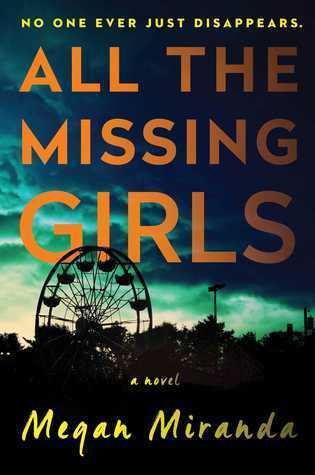 Not only does she live really close to me, she is a fantastic author that is now finally getting the recognition she deserves with the arrival of her first adult novel, All the Missing Girls. Like the synopsis states, the story is told backwards. Now when I visited Miranda at one of her book signings here in Huntersville, NC, she said the idea to write the novel this way came during her long drive from New Jersey down to North Carolina (which is around a 9 hour drive depending on your destination) as she considered the character’s journey. Not a bad way to brainstorm, albeit the caviat of having nowhere to write it down. But she got it done! Anywho, the novel starts off quickly and it manages to pick up pace up until practically the last chapter and it is an absolute thrill ride. 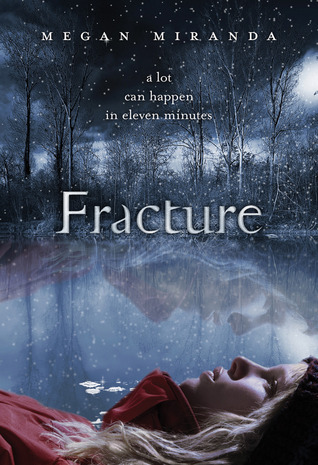 Plot-wise the novel is executed well, and the reader is kept on their toes throughout. I was also intrigued by the dichotomy established between Nic’s life in the North (although other than her being a school councelor and being engaged to Everett, we don’t know a whole lot) and her life back home in Cooley Ridge. It was done really well, and I did appreciate the comment about how the character’s southern accent came back once she arrives home, as it is something she masks in her life up north. I think that it is a really clever way to hint that it’s not the only thing Nic has been masking while living outside of Cooley Ridge. Speaking of masking, let’s talk about unreliable narrators. Nelly from Wuthering Heights is a popular example of this, as she is relaying a story she was only on the periphery of, but what happens when you have a main character narrator that you can’t trust? A damn good novel is what happens. Trust no one in this thriller. The ending was something I am pleased to say surprised me for the most part and it is one that I literally dreamed about after I finished the book at 1 AM. Do yourself a favor and pick up a copy of this novel, it will keep you on your toes and possibly keep you awake at night. 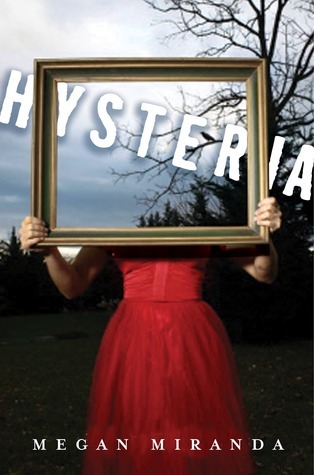 Hip, Hip, Hooray for another Megan Miranda novel! Not only is she a fellow North Carolina Resident, and has written some excellent thrillers, but I’ve met her a few times and she is simply lovely. Soulprint is an interesting novel. 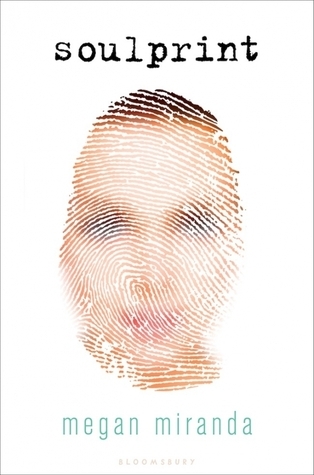 It plays with the idea that souls can be “fingerprinted,” and the progression of souls from a previous “owner” to the next can be tracked. This just brings a TON of questions to mind, and it really makes me appreciate Miranda’s storytelling ability. I mean, the main character is cursed with the soul of a notorious criminal and is punished, just for existing and for harboring a soul that previously committed some atrocities. There are a ton of nature versus nurture arguments that can be made here, but Miranda doesn’t weigh down the narrative with needless questions. Kudos to her for that, because ever since reading it, I continue to contemplate all the different ways that this could continue to go wrong. I like that Miranda steered clear of this, just for the nature of this story, but I do wonder if Alina would have heard of any other souls that were being kept in containment for previous crimes and actions. I mean, what about the human that “inherited” the soul of Charles Manson, Ted Bundy, Joseph Stalin, Aileen Wurnos, etc? How had Alina not heard about or how had these other souls not been tracked? I understand that Alina’s particular soul was important because of plot, but I really would have liked to see the containment of innocent humans because of tainted souls as something normalized in this society. That being said, I still really enjoyed where this story went. I loved that there were characters that were intregal to Alina’s development as an individual, and that really learned that there was more to her than the soul that resided within her body. I think that the mystery/thriller aspect of the novel was extremely well done, and I am so glad that one particular person from Alina’s soul’s (that is an awkward way to describe that) past took a backseat to the action. I think it really exemplified how Alina became her own person, regardless of the influence of a past life. Alina’s voice was a little weak at the beginning, but I think that this was done on purpose, to really show how powerful an individual can become when given the chance. Overall, I really enjoyed the narrative, the character’s voice, the secondary characters, and the world that the story took place in. I do wish there had been more in the way of other soul’s being contained, as I mentioned, but I understand why the story flowed the way that it did. If you are a fan of science fiction and thrillers, this is something that you will enjoy. P.S. Does anyone else desperately want a sequel or a companion to this? I DO. Mallory killed her boyfriend, Brian. She can’t remember the details of that night but everyone knows it was self-defense, so she isn’t charged. But Mallory still feels Brian’s presence in her life. Is it all in her head? Or is it something more? In desperate need of a fresh start, Mallory is sent to Monroe, a fancy prep school where no one knows her . . . or anything about her past.But the feeling follows her, as do her secrets. Then, one of her new classmates turns up dead. As suspicion falls on Mallory, she must find a way to remember the details of both deadly nights so she can prove her innocence-to herself and others. Let me start by saying this is one of those books that you cannot put down. It was great, captivating, and kept me on the edge of my seat for the whole book. This is a new type of YA book for me, it was a mystery, and I don’t see a lot of those. I really liked the concept and plot of the book. I thought the characters were well developed and the supporting characters served a purpose in the book, which for me is always important, as I hate a character that serves no purpose. I loved the flashbacks to the night of the murder that Mallory (and the reader) experienced. That added to the drama and kept me reading more. This is one mystery that I didn’t guess who the bad guy was right away. In fact I was slightly shocked at who it turned out to be. I also enjoyed the twist that it wasn’t one person, but multiple people. The one question that I had, was who was leaving the hand prints and how on Mallory’s shoulder? For me that was a big creepy part of the plot and I never got an explanation for it. Or maybe we did and I was reading so fast that I missed it? As for the love story between Mallory and Reid it was eh. I didn’t necessarily need it in the book but at the same time it didn’t take away from anything. I am very practical and cynical so the whole “I know you” thing between 16 year olds was kind of like oh please. Its more like lust than love at that age, but then I’m a little old to be the target audience for this book so I will let that pass. All in all I thought this book was great! On February 22, 2014, Missy and I were lucky enough to have VIP tickets to the Lovestruck Author Event at Fiction Addiction in Greenville, SC! If you’ve never visited Fiction Addiction, be sure to click on their logo to visit their site. You can order signed copies of the books from this event! The four authors on this tour all have different definitions and expressions of love in their novels, which they used as a platform to travel together and talk about their newly released and previous novels! Some of the hot topics of discussion included each author’s opinion on the popular Love Triangle trope, to which all of them replied that when done well–that these are still an exciting way to tell a love story. It was also a popular opinion that none of these authors particularly missed their characters and stories after going through the long process of writing, editing, and promoting a novel for so long! Meaning that they are always looking forward to their next story and their next character. In addition, all of the authors offered a short preview of what is to come for them, West is coming out with two more contemporary romances, Shepherd is writing a science fiction series called The Cage, Constantine is working on a companion novel for The Promise of Amazing, and Miranda is also working on some new material. Overall, Missy and I had a blast meeting these authors and getting the chance to meet them and hang out for a little while! Be sure to follow all of the authors on Twitter or Facebook, and pick up a copy of their books. Keep an eye out for our reviews of their novels, which will be coming up soon! This novel has some really interesting points to it from the very beginning. There is the question of whether or not God really exists, the debate concerning euthanasia and the right to die, and what really goes on within the minds of coma patients and what it might feel like when they come out of it. So while those things seem really heavy, there’s still some interesting things happening in the novel. Of course there is a weird quadrangle relationship going on between the main character and three male leads. And I’m not going to go into what happens, but let it be known that there are some creepers in the novel. Again, I really think that you should give this novel a chance. It took me getting to the middle of the book to really get on board, but I think that it could end up being a good novel for you to pick up!